Our eBook prepares you with a winning strategy for your next car purchase. Download it free today! People who ask these questions, generally, get a better deal and are much happier with their car purchase. 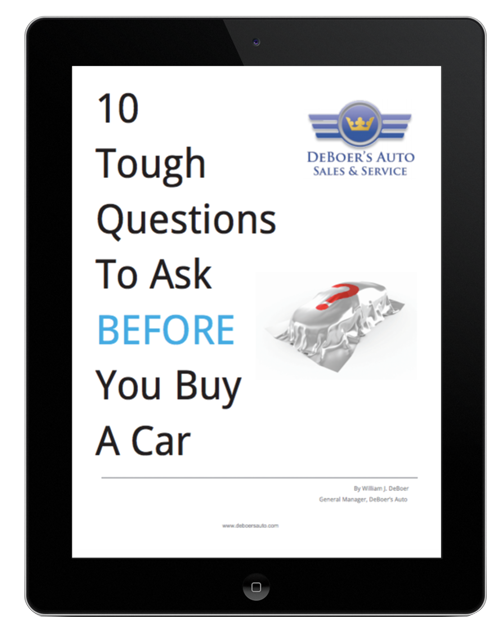 Download the eBook and be prepared to ask the tough questions required for a successful car buying experience. Enter your Name and Email Address and we will email you a copy!